To all those who know me, it goes without saying that I'm a huge Anne Rice fan and simply must read any new book she publishes. This series however couldn't be further from the Vampire Chronicles or the Mayfair Witch stories. 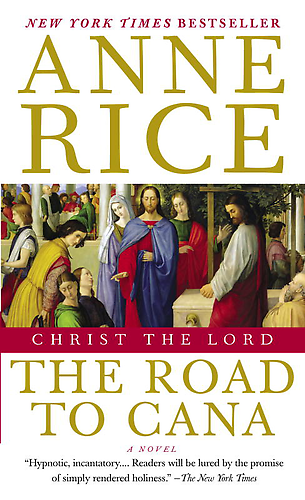 Rice has meticulously researched the life of Christ, and this is the second in her series bringing to life Yeshua Bar Joseph. 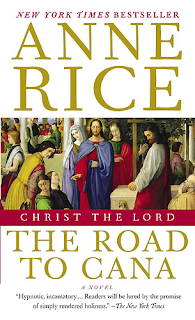 I found her first book in the series Christ the Lord Out of Egypt difficult to get into, as it was quite heavy going. However I thoroughly enjoyed the second installation in the series, and the story is really picking up pace now. I was still a little overwhelmed by all the family members, and how they were all related, but persisted through it all! I'm really looking forward to the next book, although it will probably be another 12 months in the making. It's also difficult to know if this will be the last in the series. I probably wouldn't recommend this book to Anne Rice fans, as it's nothing like her other works. However if you enjoy historical fiction and have an interest in religion then this is a great book.